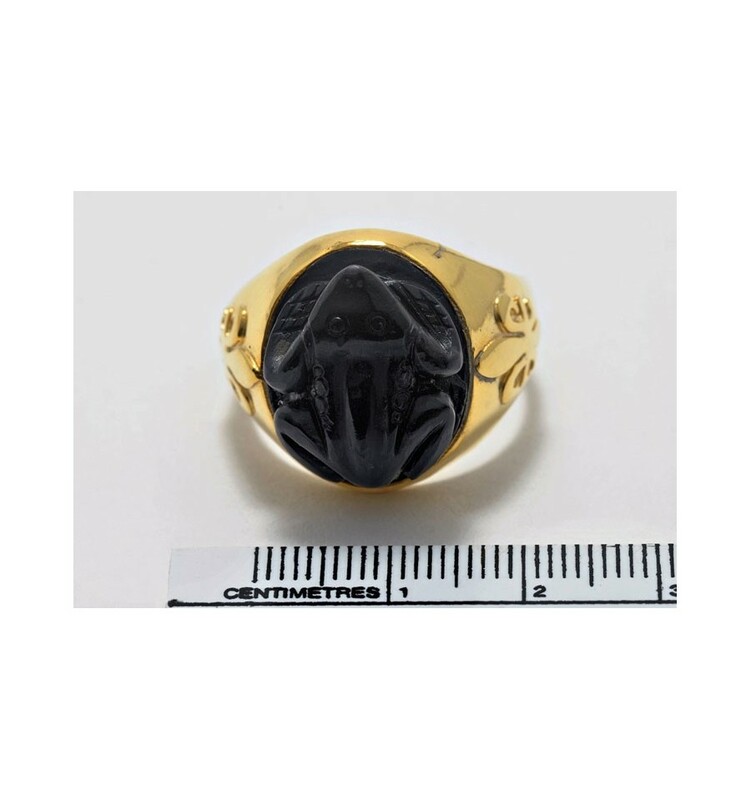 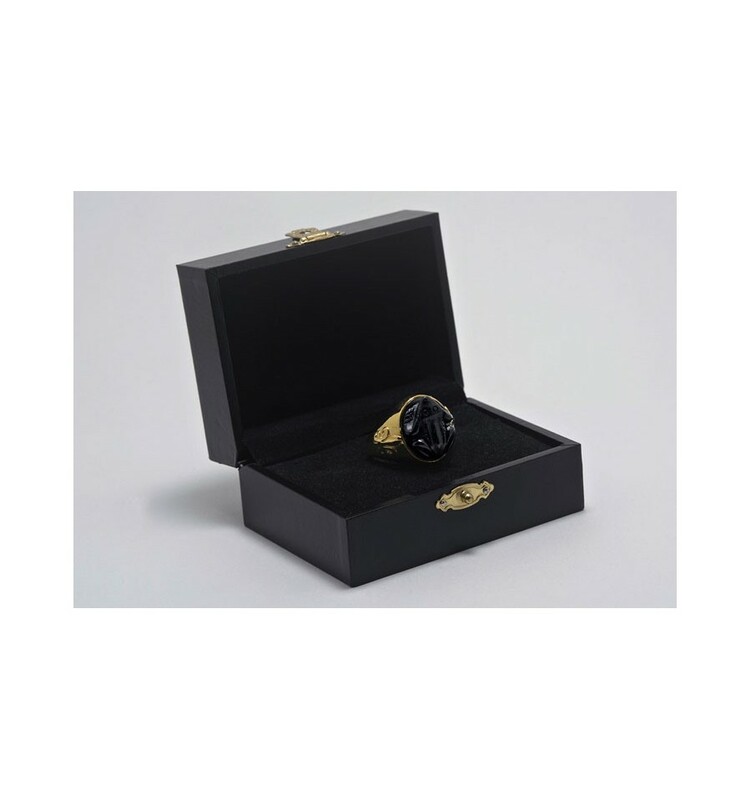 Enjoy this Regnas Jewelry Frog Ring hand sculpted from Black Onyx with Fleur De Lys shoulder decorations on the gold plated sterling silver ring chassis. 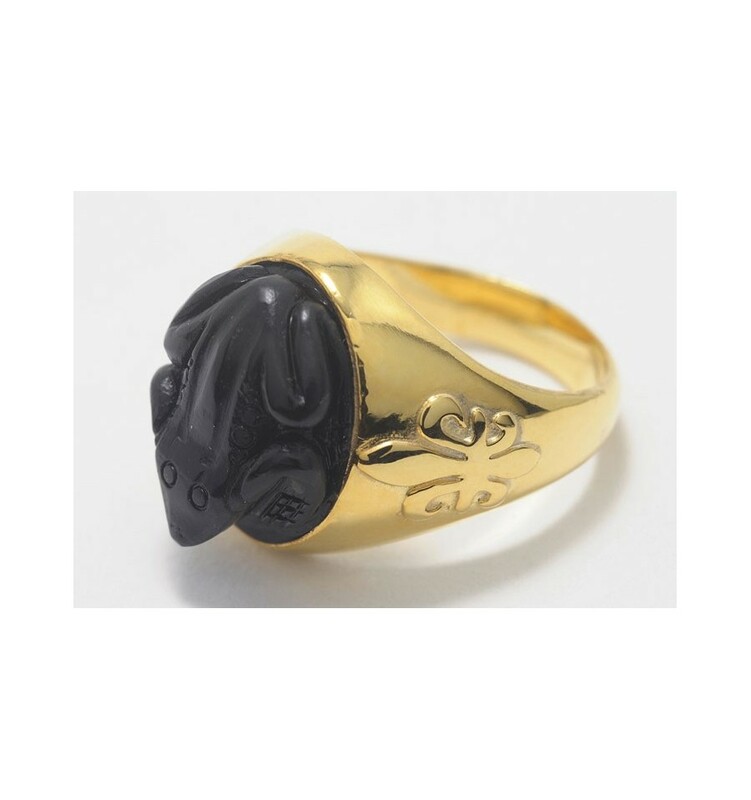 A frog called Freddy has been skillfully sculpted from an oval of genuine Black Onyx. 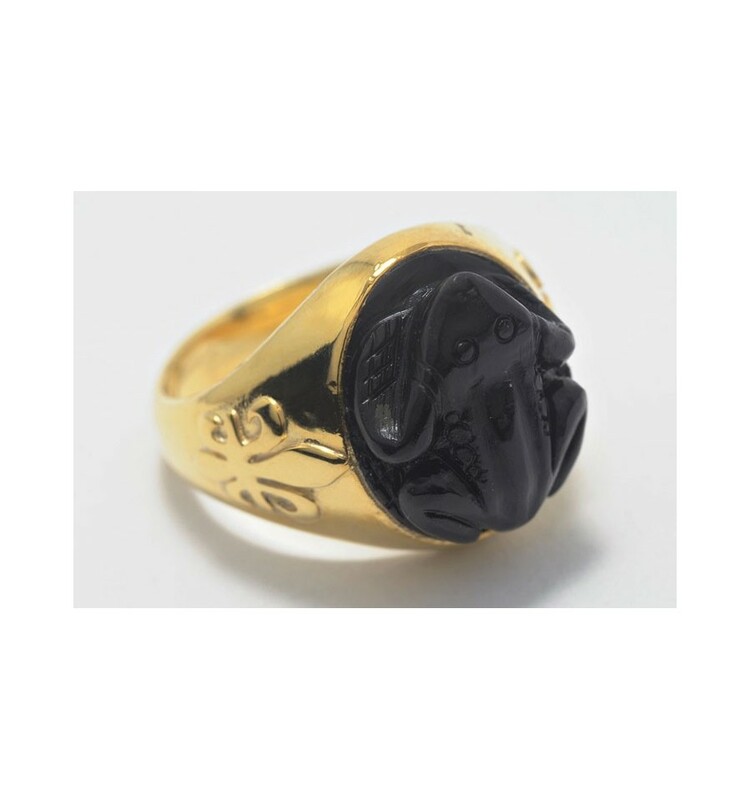 The shoulders on the gold plated solid sterling silver chassis are embellished with the Fleur-De-Lys family crest of the Bourbon family of France. 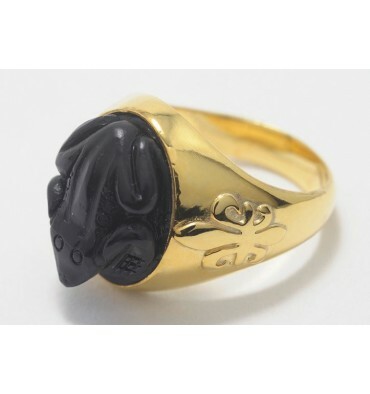 A classic frog ring..
That's whyour high quality products are so affordable.